Der Blumenbrief, a setting by Aloys Wilhelm Schreiber, was composed by Franz Schubert in 1818 and published after his death, in 1833. In 1818, year where der Blumenbrief is composed, Schubert is barely twenty-one years’ old. After leaving his village and his father, he meets Johann Michael Vogl, a famous baritone of the time that will be key in introducing him to many rich families. He becomes acquainted with the Esterházy family and will be appointed music master for their children. Der Blumenbrief, among many other works, was composed during his summer stay at the Esterházy’s summerhouse in Zselíz. It is possible, Schubert chose this poem by Schreiber to please his thirteen-year-old pupil Karoline, who probably premiered the lied in the private intimacy of their lesson. In der Blumenbrief, Schubert develops a theme he will later sublime in his song cycle die Schöne Müllerin: the theme of a lover incapable of declaring his love upfront and hoping his flower bunch will send the message loud and clear. In this early Schubert song, the harmonies are still simple and the musical structure, classical. The piano prelude with its staccato quavers creates, from the start, a delightful, intimate atmosphere. The vocal line, with its oscillation between adjacent semiquavers, seems to express all the shyness of the protagonist. Der Blumenbrief originated was composed by Franz Peter Schubert . The original lyrics are in German. The melodious note arrangement of Der Blumenbrief ranges from pianissimo (very soft) mellow notes to forte (loud) notes carrying the player and the audience through an array of vivid emotions. The sweet soft beginning of the music piece gradually increases and decreases the loudness in smooth transitions. This music piece is decorated with phrases, slurs and an arpeggio. A perfect composition for piano players to try with an intermediate knowledge in music. Students can make use of this sweet music piece to improve their knowledge in music expressions, ornaments and sight-reading, while all music lovers could enjoy this brilliant extract whole-heartedly. Der Blumenbrief sheet music produced by Lyribox is clear, precise and is transcribed in English by Lyribox. By purchasing Der Blumenbrief sheet music from us, you can simply sing along as you play this masterpiece on your piano. Unlike many sheet music sold online with all black notations, sheet music we offer you is marked using three distinct colors. While piano notation is illustrated in black, the music expressions and the lyrics are given in red and blue respectively. 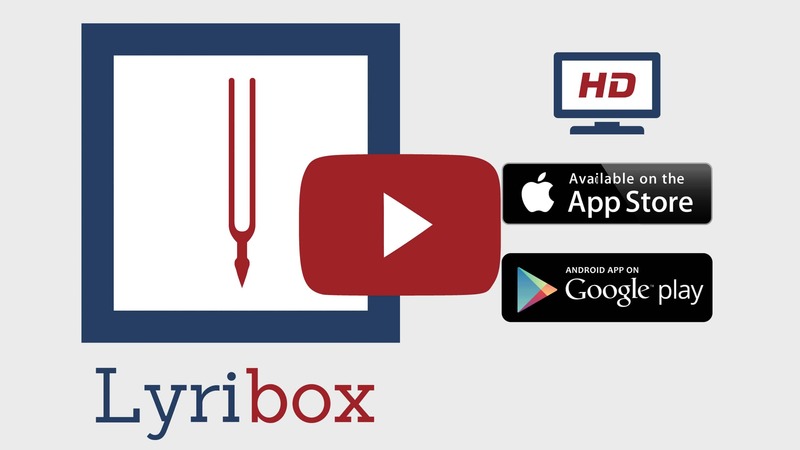 Get Der Blumenbrief by F. Schubert sheet music from Lyribox today to enjoy and share this wonderful music composition with your friends and family. Der Blumenbrief piano accompaniment is offered by Lyribox is mellow and smooth. It feeds the poem an underlying pulse, adding a sense of propulsion to it. Meanwhile the vocal line flows in a dreamy leisure manner forcing the audience into a calming and languid mood. The vocal line of Der Blumenbrief by Lyribox has the potential to provide slight pitch support for the voice’s sometimes unusual intervals, enhancing the fullness of it. This accompaniment is not at all demanding. Using these rich Der Blumenbrief accompaniments you could create one of the most brilliant performances that is pregnant with layers and layers of expressions. Purchase the Der Blumenbrief piano accompaniment together with the vocal line accompaniment from Lyribox today!